"Avengers: Infinity War" is here. And it is in a word... devastating. More on that in a moment. First, James Cameron caused a bit of a stir last week when the "Avatar" and "Titanic" director said he hoped moviegoers would soon experience "Avengers fatigue," because, in his words, there were "other stories to tell." Cameron (whose 1986 hit "Aliens" is coincidentally referenced in a very funny pop culture moment during the film) may well be right. 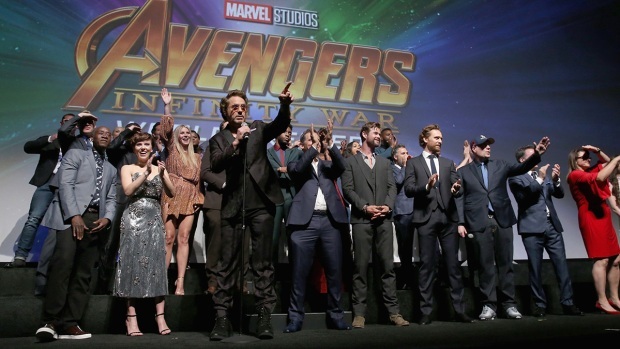 At some point moviegoers may tire of seeing Captain America, Thor, Hulk, Spider-Man and the other costumed heroes Marvel has built a billion-dollar universe around. And there are other stories to tell. But Cameron, who hopes to helm his own billion-dollar "Avatar" mega-franchise, is the wrong messenger. And the sentiment is ill-timed. "Avengers: Infinity War" will do nothing to quell the desire to see these costumed heroes in action. It's no coincidence that "Infinity War" in many ways feels like the end of a journey begun with 2008's "Iron Man." After a staggering 19 interconnected films that have woven together a cinematic universe inhabited by the likes of "Dr. Strange," "The Guardians of the Galaxy," "The Black Panther" and (finally) "Spider-Man," viewers have a hard-earned interest in the well-being of these heroes. It's this fact that makes their fate all the more shocking as filmmakers Anthony and Joe Russo put Earth's mightiest heroes to their greatest test. "Infinity War" clocks in at a staggering 149 minutes. At that length you might expect the story to naturally drag in spots. But with so many heroes to work in and plots upon subplots and missions leading to side missions you never feel the length. Indeed, the story literally can't wait to get started as it opens mid-battle with both Thor and the Hulk (fresh off their buddy adventure in "Thor: Ragnarok") already vanquished by Thanos (Josh Brolin). The mad titan seeks the remaining Infinity Gems that will literally transform him into the most powerful being in the universe. Mild Spoiler Alert: There are two major character deaths within the opening moments of the film before the story even begins to fully pick up speed. You're put on notice early, no one is safe. 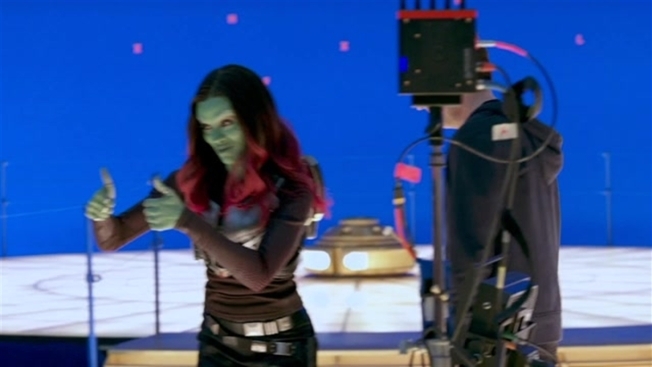 The filmmakers wisely choose to split our heroes into mini-groups as each engineers a plan of stopping Thanos. Spider-Man, Dr. Strange and Iron Man join forces on Titan. After a meet-cute Thor and the Guardians seek out a "Thanos-killing weapon" on the edges of the galaxy, while Captain America, Black Widow and the Black Panther gather in Wakanda to protect the Vision, wielder of one of the very Infinity stones Thanos seeks. Their separate storylines come together at the conclusion with devastating results. But the filmmakers also take delight in those special moments when our heroes, well known to us by now, meet for the first time. It may be Thor repeatedly, and with some affection, referring to Rocket Raccoon as "Rabbit," or the alpha male banter between Robert Downey's Iron Man and Chris Pratt's Star-Lord as each jockeys to let the other know who's in charge. There is also the cute introductory exchange between Spider-Man and Doctor Strange. "Oh. We're using our made up names. Then I'm Spider-Man." There are many moments of levity in the film, including an extended cameo from "Game of Thrones" fan favorite Peter Dinklage in a bit of inspired casting. But the closing moments are nothing short of gut-wrenching. And if there's any criticism to be laid it's perhaps here in that the filmmakers may have overplayed their hand in this moment. There are casualities (casualties that won't be spoiled here) that simply can't be allowed to stand given recent real world box office dynamics. These are casualties that simply must (and will) be reversed in the untitled sequel. But that aside, seeing the heroes you've watched triumph over the past decade so thoroughly vanquished is nothing short of shocking. "Avengers: Infinity War" hits theaters Friday. The Russos' untitled sequel is scheduled for 2019 and you'll need that much time to catch your breath. And -- you were going to do this anyway -- make sure you stick around for the post- credit sequence.